Entropay gives you the option to generate a virtual card for online payment across the world. If you have already had the chance to experience the Entropay services, you already know that this is an excellent alternative to pay for something when your debit or credit card isn’t accepted. Furthermore, thanks to the increased security and protection of personal details, Entropay fits like a glove for punters who want to deposit at online betting sites. However, there’s a lot more to Entropay than just speed and security! Scrolling down, you will find a lot of helpful details regarding how Entropay works, as well as its ups and downs. So, if you want to check out the top Entropay betting sites, scroll down. Entropay offers their services in more than 120 countries, so it is highly regarded by betting sites, thanks to the accessibility it brings along. Its broad availability along with the high-speed money transfers and sharp security, made Entropay one of the used payment method for betting sites. We’ve made a list of the top 3 betting sites that offer Entropay so that you won’t have to waste time searching for them yourself. A trademark betting site in the UK, William Hill offers only the best payment methods to their customers. The long years in the betting industry recommend them as one of the best betting sites in the world. That’s why you can be certain that using Entropay at William Hill is going to be a rewarding experience. Deposit instantly with Entropay to enjoy William Hill’s promotional offers and leave your worries behind when it comes to taxes or fees because there are none. You can also use the virtual VISA card issued by Entropay for withdrawals, and that makes it an outstanding payment method for punters. Ladbrokes is another excellent example of an online betting site where you can use Entropay to make deposits and withdrawals. Compared to a classic VISA card, the virtual card issued by Entropay gives you increased control over the transactions as well as the possibility to cancel the card immediately, online. Ladbrokes doesn’t offer any special promotions for Entropay deposits; however, this method is listed high in their payment methods table. This shows that Entropay is a payment option which you can trust and use to make instant deposits and enjoy an excellent overall betting experience. Withdrawals to Entropay take up to 3 business days, which is the same as a VISA debit or credit card. Also, you should know that the minimum Entropay deposit you can make at Ladbrokes is £10, while the maximum can go up to £500. Paddy is one of the most respected betting sites in the UK with millions of online users and thousands of physical shops. Thanks to its perfect image and reputation, the fact that Paddy Power recommends Entropay as one of their top payment methods, represents an undeniable seal of approval. Using Entropay for deposits and withdrawals at Paddy Power is quick, safe and reliable, allowing you to enjoy a high-quality betting experience. You won’t have to worry about extra taxes or fees since Paddy Power doesn’t apply any on your deposits or withdrawals. Just make your deposit, choose your favourites place your bets, taking advantage of competitive odds and excellent services. One of the most important advantages comes from the fact that you can generate everything online with no need for a trip to the bank or anything of the kind. We mentioned some other advantages of using Entropay in the previous section, and we’re going to discuss each one individually. Since VISA powers the virtual cards you generate through Entropay, the two companies decided to collaborate regarding safety systems. The results are impressive, and Entropay is one of the safest ways to deposit money online at the moment. Just like a VISA card, all Entropay deposits are instant. The virtual card generated by Entropay is even faster and easier to use because you can copy-paste all the required info. Opposed to a physical card where you have to type the card number, expiry date and CVV manually, Entropay allows you to paste them. Being able to withdraw funds with the same payment method they deposited is a highly-appreciated feature by punters. This means you won’t have to go through the extra effort of adding another method for withdrawals or verifying it. Once you have deposited with Entropay, you can use the same account to get your money back, and that’s excellent news regarding convenience. Entropay can be accessed from a lot of countries all over the world. This makes it an excellent tool for those punters that, because of internal legislation or betting site restrictions, can’t use their classic cards or any other deposit method. Processing a withdrawal through Entropay can take up to 3 business days. Even though that’s not a long time, speed is of the essence in the betting world. Compared to PayPal or Neteller that clear your funds in a couple of hours, three days do sound like a lot. Even though the actual deposit to the betting sites, as well as cashing out the funds are free and with no taxes applied, you can’t say the same about adding funds on Entropay. Depending on the chosen method of payment, you can end up paying fees of almost 5% of the total amount. The KYC procedure applies to all deposit methods, so Entropay is not at all an exception. 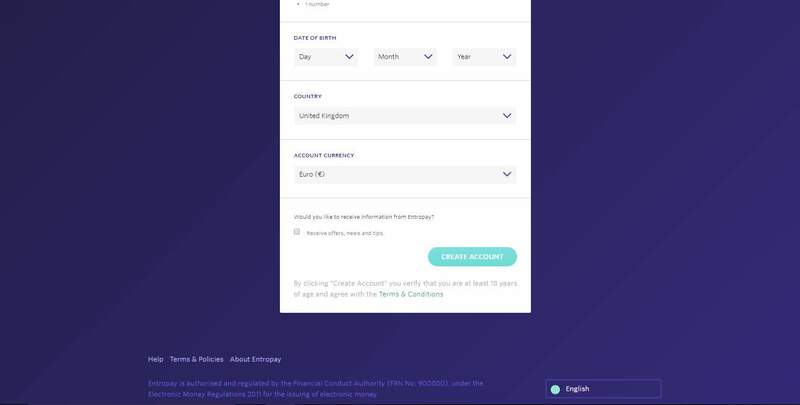 However, while payment methods such as Skrill or PayPal offer ways to verify identity automatically, for Entropay the punters need to send copies or screenshots of the virtual card as well as other documents. The process of using Entropay for deposits at online betting sites is intuitive enough, however, since speed is very important in betting, we’ve made a quick guide to help you out. First of all, log into your betting site account. In case you didn’t already generate an Entropay virtual card, you can do so by clicking the link at the bottom of the page. Once you fill in all the details, click on Deposit. You are now ready to place your bets and enjoy an awesome experience after depositing with Entropay. You can create an Entropay account as well as generate a virtual card online, on the Entropay website. Since we want you to have all the needed info to enjoy the best possible betting experience, we’ve set up a short guide for creating an account as well. 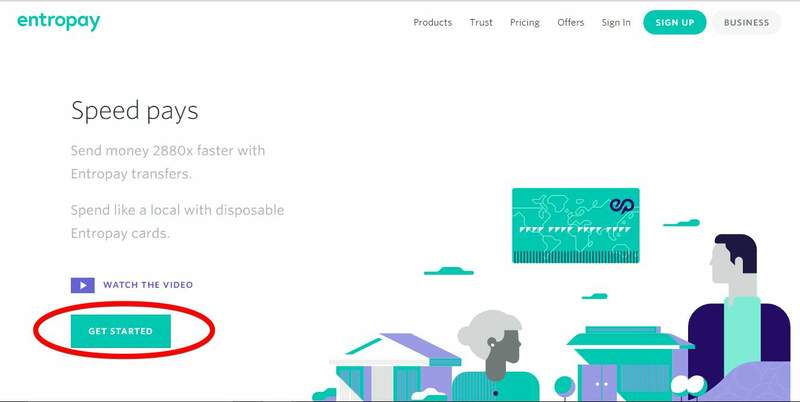 Access Entropay’s Website and click on Get Started. 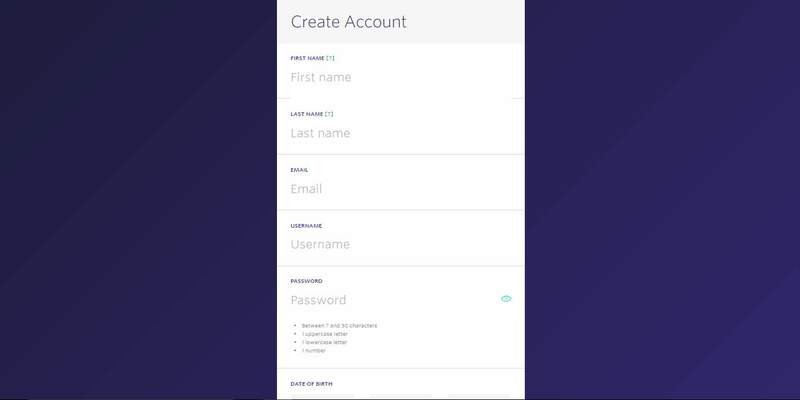 In the next screen, fill in your personal information to create the account. Choose the preferred method of payment and fill in your banking details to top up the card and start using it at your favourite betting sites! From the betting sites examples we’ve mentioned at the beginning of this review, you found out that Entropay deposits are instant and you can also use Entropay for withdrawals. Even though withdrawals are not the fastest in the industry, Entropay is still a very appreciated payment method. Next, we’re going to give you some exact data from the betting sites regarding Entropay deposit/withdrawal times, fees as well as minimum/maximum deposits and withdrawals. Can I Withdraw Money from Entropay? The money you have on Entropay virtual cards can’t be withdrawn at an ATM or on a physical debit or credit card. You can use the funds that you withdraw from betting sites to shop online with the Entropay card or continue your betting activity. Can I Transfer Money from Entropay to PayPal? At the moment, the transfer of funds from Entropay to PayPal is not possible since Entropay was designed to allow you to pay online directly. Using Entropay to fund other payment methods is not among its functions. You can do that through your classic VISA card, for example. Can I Use Neteller to Fund Entropay? Unfortunately, this is not possible. An Entropay virtual card can only be funded through a credit or debit card or directly from the Entropay wallet. Another option to fund an Entropay virtual card is through another virtual card, but you can’t use e-wallets. What should you know about Entropay?